Today I'm participating in some new blog hops...strap in for Poodleist personal info like you wouldn't believe...there are 3 hops I'm jamming into this mega post, please try to stay tuned. I'm trying to reach out a little more to new blog friends, so here goes! 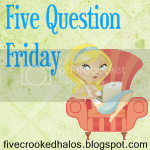 This is 5 Question Friday from My Little Life! Hmm...if we are counting manfriend as the "spouse" in this little game, I'd say its about even. We do both have our strengths. He's good at multi-tasking while in the kitchen, whereas I have to stay focused. He is really good at a few staple dishes, whereas I'm mediocre at a wider variety. We really do split the cooking and do it together alot. STICK TO THE RECIPE. I can't explain, but it makes me crazy not to follow the directions. No. My toes are a beautiful perfect - descending in length from the big toe to the piggy. Just kidding, my toes are actually kind of fat-ish. But the big toe is the longest. Absolutely I dress up. Halloween is one of my absolute FAVORITES. This year manfriend and I have a great idea in mind, but no spoilers! 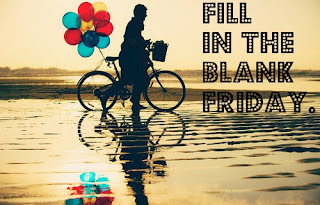 Next up is Fill in the Blank Fridays from The Little Things We Do. 1. I am___ really excited for Halloween. Manfriend and I have found our costumes, and are waiting for his to come in the mail. It's going to be freaking fun. He's really at his best when in costume. 2. I wish ___that I didn't worry so much. I'm a worrier; this is something we know about me. I get it from my mother. I often wish I could just relax and take things more in stride. I panic - alot. 3. I like___blogging more than any other hobby I've found. I'm starting to think that maybe this is my thing. Everyone (or at least I am) is in search of what "their thing" is. I think mine is rambling prose to a semi-anonymous internet audience. 4. I can___ raise a poodle like nobody else. Just yesterday I was walking around my apartment complex with him off the leash. He was listening to me, not going crazy...generally being a really good little pup. Keeping him alive and teaching him relatively good behavior is one of my proudest accomplishments to date. It's been a bumpy road. 5. I hope___ the Rangers make it to the World Series. I wasn't a Rangers fan until recently, but Ranger Fever has taken over everyone around me. I don't care much about baseball, but I hope all my friends aren't let down. 7. I was___ really late to work today and it was mostly because I got distracted by pageant dads on the Today Show. What the hell? Who am I? 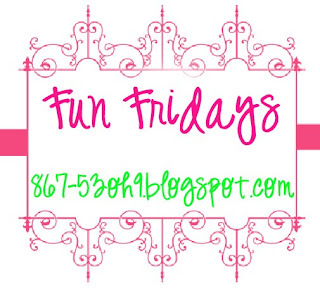 Last but not least, is Fun Friday at A Girl in Pearls and a Boy with Toys! Honestly, I don't have much planned for the weekend, and I can't WAIT! Tonight I have dinner plans with some good friends at a new restaurant and that's about it! It's going to be great! Hopefully I'll catch up on some TV, watch some football, maybe try a new recipe! I'm ready for the break in the week! i wanted to watch the segment on the today show about pageant dads, but was already late for work so i missed it! Have a great weekend, Casey! Poodleism...love that name, very catchy! Following you now from Fun Fridays blog hop. My blog “Inspire” has inspiring messages. Please follow back!